PlayAmo casino is run by a team of experienced casino players and enthusiasts with vast experience in both playing at and running online casinos. Playamo uses products of best casino software and game providers around. You might have heard of them – NetEnt, Amatic, BetSoft, Nextgen, Endorphina, Ezugi, Microgaming and SoftSwiss. Every true casino player knows these names and trusts them just like we do. Playamo has now more than 600 games! PlayAmo casino is run by a team of experienced casino players and enthusiasts with vast experience in both playing at and running online casinos. Playamo is a high-end casino with games provided by the best developers in the industry, support service always ready to assist you in any situation, and of course big wins just a couple mouse-clicks away. So don’t miss your chance and join Playamo now! 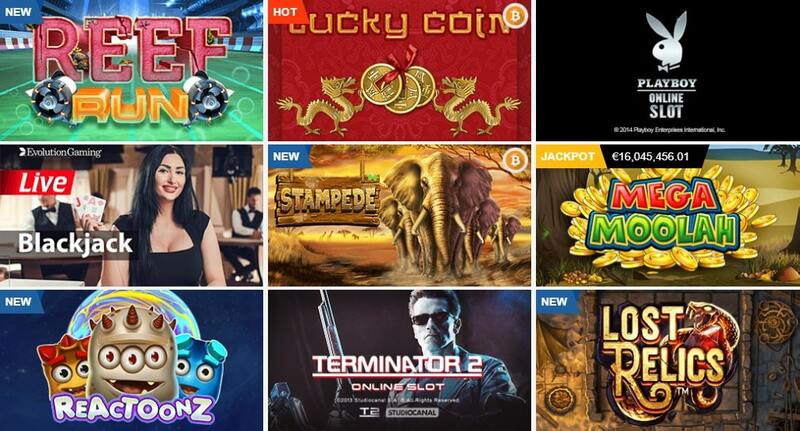 125% First Deposit Bonus of up to $/€100 or 0.25 BTC + 50 Free Spins on the game Steam Tower. Wagering requirement: 50x. 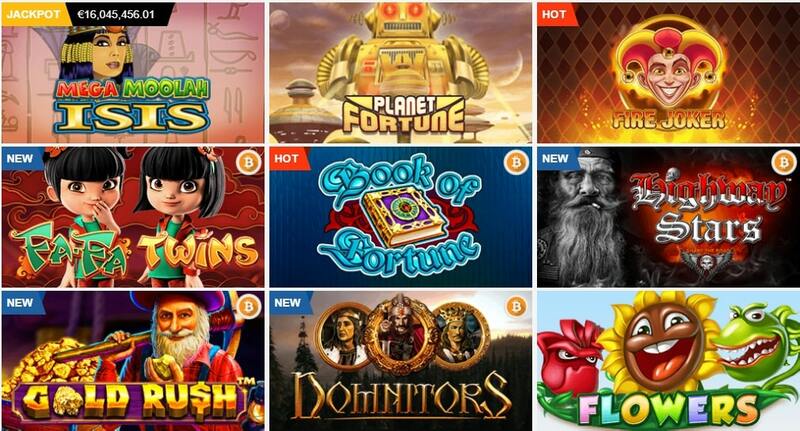 75% Second Deposit Bonus of up to $/€100 or 0.25 BTC + 50 Free Spins on Starburst. Wagering requirement: 50x. 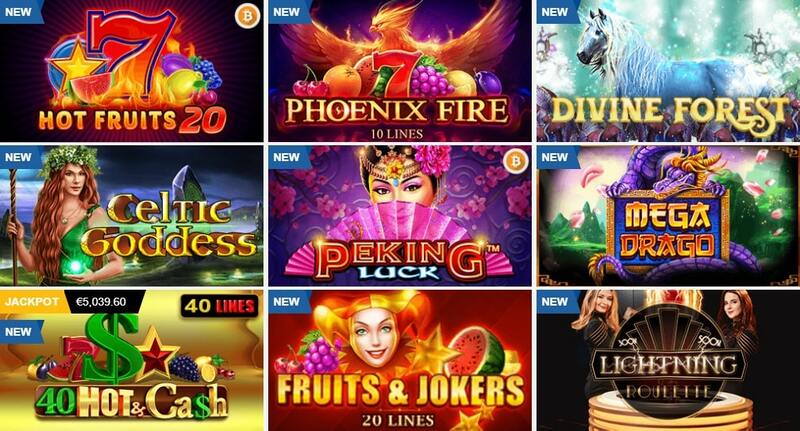 50% Third Deposit Bonus of up to $/€100 or 0.25 BTC + 50 Free Spins on Lights. Wagering requirement: 50x. 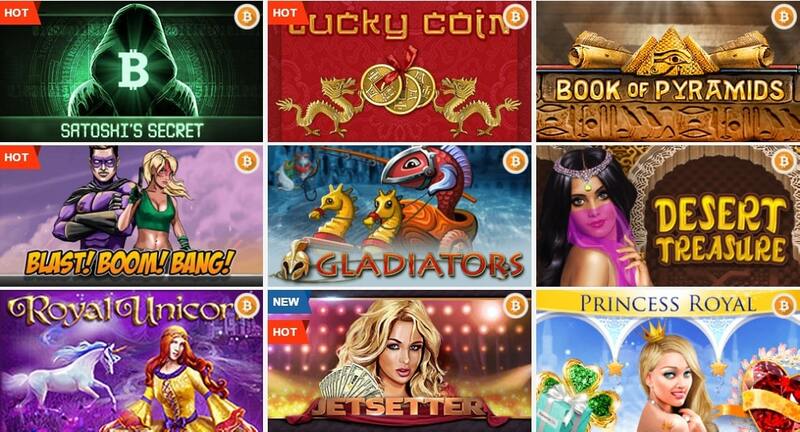 25% Third Deposit Bonus of up to $/€200 or 0.50 BTC + 50 Free Spins on Attraction. Wagering requirement: 50x. Up to 50% “Have a Nice Weekend Bonus” (maximum: 1 BTC) + 20 Free Spins on the Gonzo Quest slot game. Wagering requirement: 50x. Monday Boost of up to 100 Free Spins. A $/€20 deposit gets 20 Free Spins on Jack and Beanstalk or Evolution. A $/€50 deposit gets 50 Free Spins on the same games. A $/€100 gets 100 Free Spins. Wagering requirement: 50x. A minimum deposit of $/€20 or 0.05 BTC is required to qualify for these bonuses. The wagering requirement should be met within 30 days from the time they are obtained, as the bonuses expire after this period. Not all games contribute to the completion of the wagering requirement. Slots contribute 100% while video poker, table games, roulette, and poker only contribute 5% each. PlayAmo’s website claims that there are more than 600 games being offered. We have encountered a number of sites with such a grand claim before they they actually have significantly fewer games in their collections. That’s why for this PlayAmo review, just like in the other reviews we did, we made sure to do a manual count. We found not just 600 but 662 games and it appears the collection of games on the site continuously grows as there were many games added with the “New” label. The gallery of games on PlayAmo can be viewed according to the game category or according to their software providers. There are 5 main game categories on the site: Slots, Blackjack, Roulette, Video Poker, and Live Games. There over 600 slot games. The top titles include Billyonaire, Book of Fortune, Diamond Cats, Book of Aztec, Aztec Magic, The Ninja, Brave Viking, Platinum Lightning, Wild Shark, Eye of Ra, and Satoshi’s Secret. 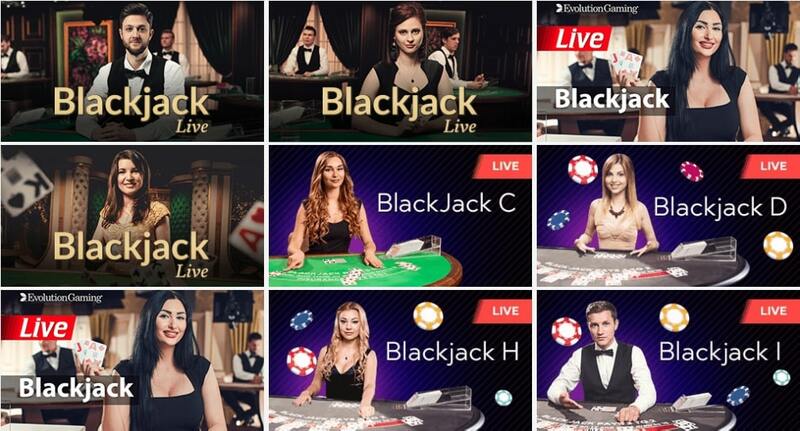 There are 7 Blackjack games including Pontoon and Multihand Blackjack Pro. The Roulette category has 9 games namely Automatic Roulette, Live Roulette, American Roulette, French Roulette, European Roulette, American Roulette Flash, European Roulette Flash, French Roulette Flash, and Roulette Royal. The Video Poker category has 11 games, which include Poker 3 Heads Up Hold’em, Jacks or Better, Joker Poker, Multiwin, Poker Pursuit, and Wild Texas. Lastly, for the Live Games category, there are 18 games available. These are live Blackjack, Roulette, Baccarat, Keno, Sede, Bet on Numbers, and Wheel of Dice games. The rest of the games are grouped under the Jackpots category. These include top games such as The Dark Knight, Greedy Goblins, Mega Gems, and Mega Moolah Isis. All of the games, including the live games, have Play for Fun buttons. However, when we clicked the Play for Fun button for the live games and tried playing, we were told that we did not have enough balance. So obviously, you really need to make a deposit if you want to play at the live games. One of Playamo Casino’s biggest priorities is customer service. We are pleased with the level of care they provide. Players will find representatives available 24/7 through a simple Live Chat interface. Members also have the option of contacting an agent through email or online contact form if they prefer. At the time we were doing this PlayAmo review, the site only uses four currencies: euro (EUR/€), US dollar (USD/$), Swedish krona (SEK), and bitcoin (BTC). These are the currencies that can be selected during the registration process. However, usually, the amounts on the site are expressed in USD, EUR, or mBTC. The Terms and Conditions page also only mentions that PlayAmo deposits and withdrawals are in USD and EUR. Deposits require a minimum amount of 1 mBTC /0.001 BTC/$20. There is no minimum amount for withdrawals. PlayAmo has prepared excellent tables that detail the deposit and withdrawal methods so we will no longer be discussing them.